Working in the front-line response to natural and health epidemic disasters? You need independent conferencing capability, in continuous operation, to connect decision makers, field workers and subject matter experts at any time. Audio conferencing is a critical part of any situational awareness and emergency/disaster planning activity. However, in crisis scenarios, public switched telephone networks (PSTN) and mobile networks can be damaged or severely disrupted. 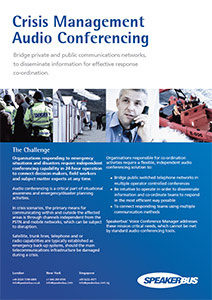 The solution has been designed to bridge public networks and use alternative emergency back-up networks in a crisis situation. Individuals using devices operated by radio, satellite, mobiles and fixed lines can all be brought into a single conference. The result? 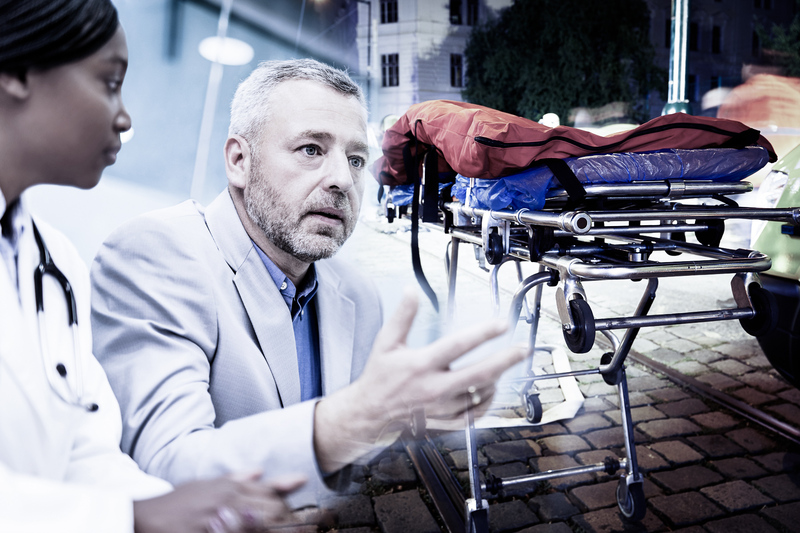 – In crisis situations, you can disseminate information to hundreds of disparately located individuals for effective and immediate response co-ordination.